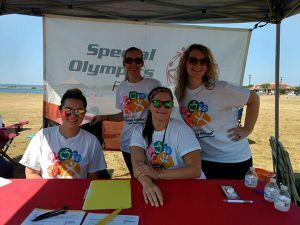 Thirty-three Pensacola State College dental hygiene students recently helped provide free dental screenings, oral hygiene instructions and fluoride treatments to Special Olympic athletes and their families. 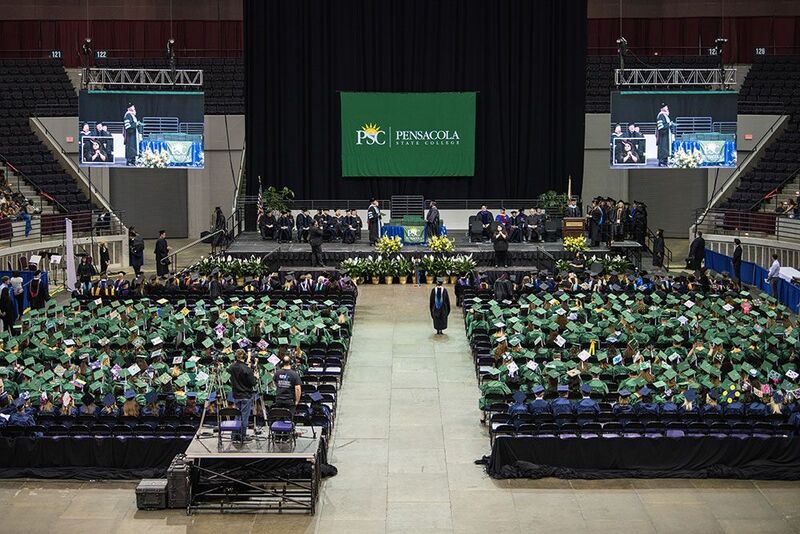 The service learning activity ─ held Friday, Sept. 29, at Community Maritime Park and Blue Wahoos Stadium ─ was the brainchild of Pensacola State Endowed Chairs, professors Donna Mathias and Barbara Tarwater. 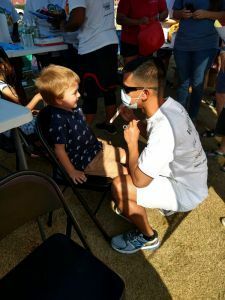 Six West Florida High School students along with five registered dental hygienists also assisted with the dental treatments. 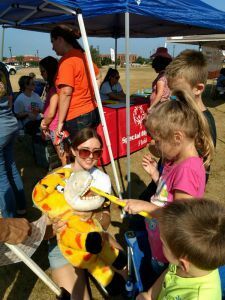 Mathias and Tarwater worked with Special Smiles, the discipline of Healthy Athletes that provides comprehensive oral health care to Special Olympics athletes, so the PSC students could participate in the event. Hosted by by Autism Pensacola, the Florida Department of Health and the 5-2-1-0 Let’s Go Northwest Florida program, the event challenged families to shut off their computers and tablets and head outdoors for some fun.